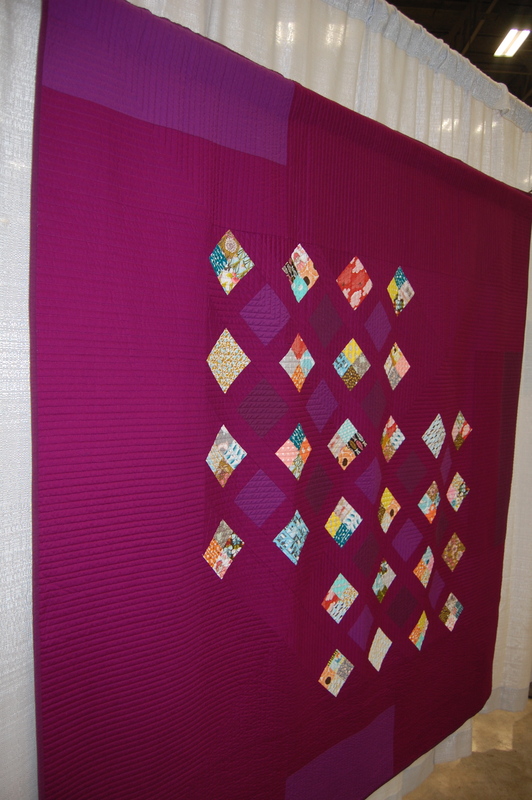 I realize that Quilt Con excitement sort of took over much of blogland last week, and rightly so! I too was enjoying reading the recaps. I hope you’ll bear with me for just one last post about it from here. 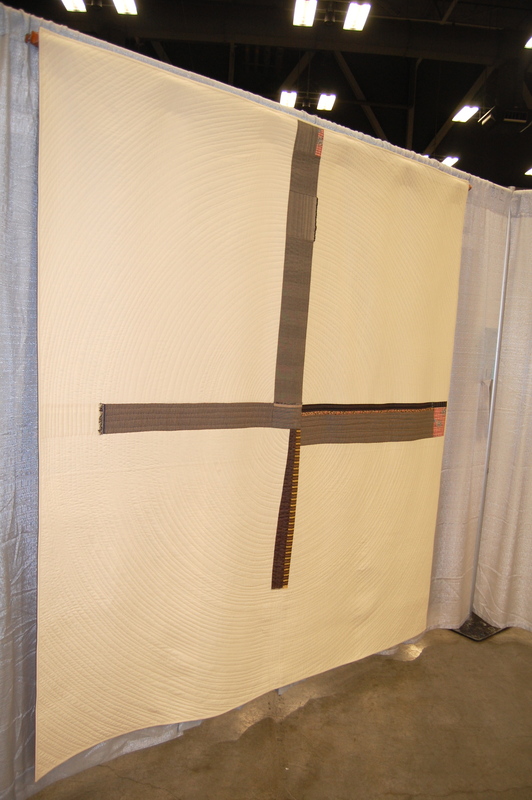 I just couldn’t resist telling you how incredibly inspiring it was to be in the same room with the quilts in the show. 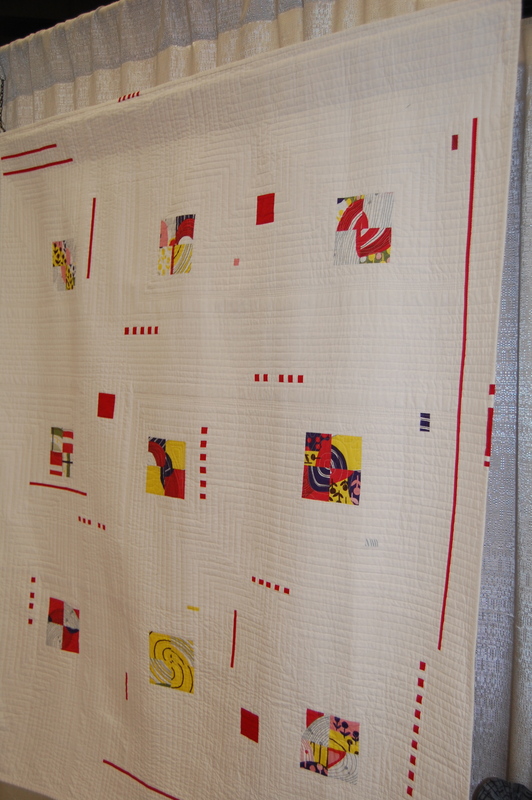 Especially when there is an entire row dedicated to Denyse Schmidt’s quilts!! I wish I would have gotten a better overall photo of the quilt show and the unbelievable gathering of modern quilts, although you’ve no doubt seen many already. To be able to stand just inches away from the quilts of a quilting icon like Denyse Schmidt was truly a highlight of my trip. Some of my other favorites (I’ll only show a few here, but believe me there were a lot more), were Maura Grace Ambrose’s Dark Star Quilt. The handstitching, done by Juliet Gamarci, on this naturally dyed cotton was exquisite! 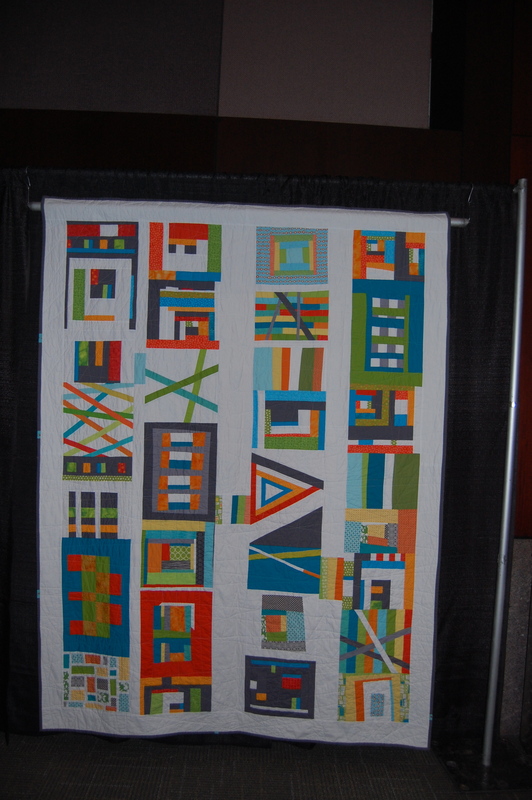 The Doppelganger Quilt by Thomas Knaur, Quilting by Lisa Sipes was so rich and modern. The various shades of purple gave it such interest and texture. 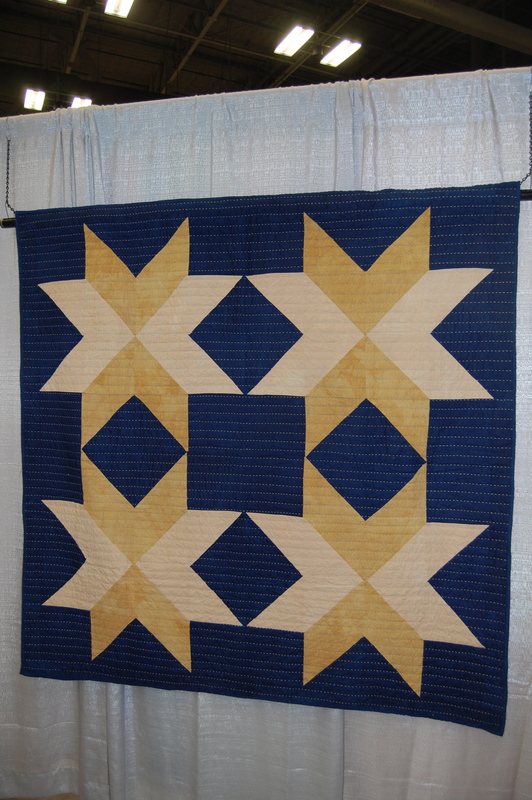 Don’t Box Me In Quilt by Tammy Vasser is a beautiful example of clean, modern and bold! Love it! 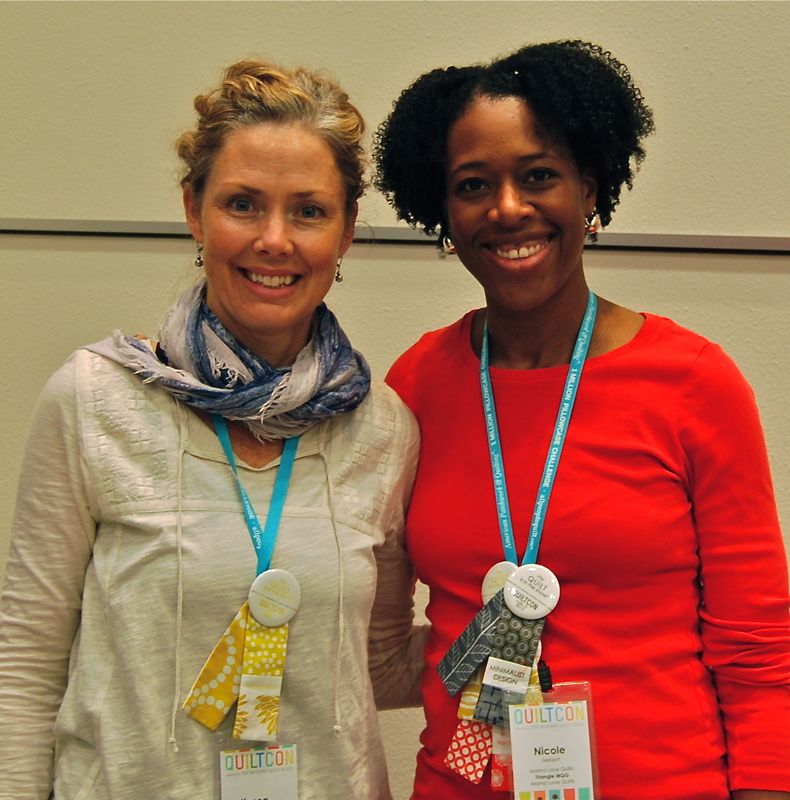 Another highlight of my trip was getting to meet Nicole of Mama Love Quilts, who had three amazing quilts in the show, two of which won an award. Go Nicole! She and I were lucky enough to both get into Lotta’s Saturday morning workshop. I was thrilled and beyond inspired when I sat in on Yoshiko Jenzenji’s lecture where she talked about her process and SHOWED her quilts!! Amazing!!! They are even more incredible in person. 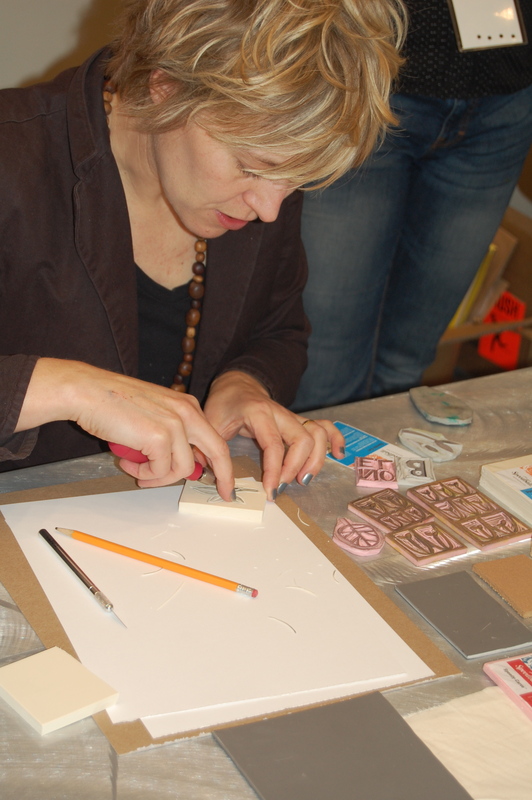 My workshops with Lotta Jansdotter and Jacquie Gering were awesome. They are both great teachers and lovely women! 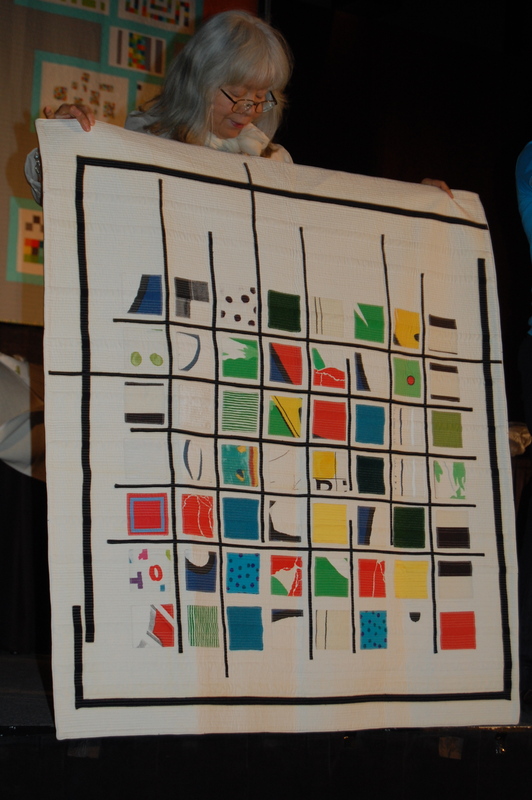 l snapped a quick photo (in the less than desirable lighting) of our Santa Barbara Modern Quilt Guild’s Charity Quilt. I can honestly take no credit for being a part of this beautiful collaboration as it was done during some months when I was unable to attend our local meetings. 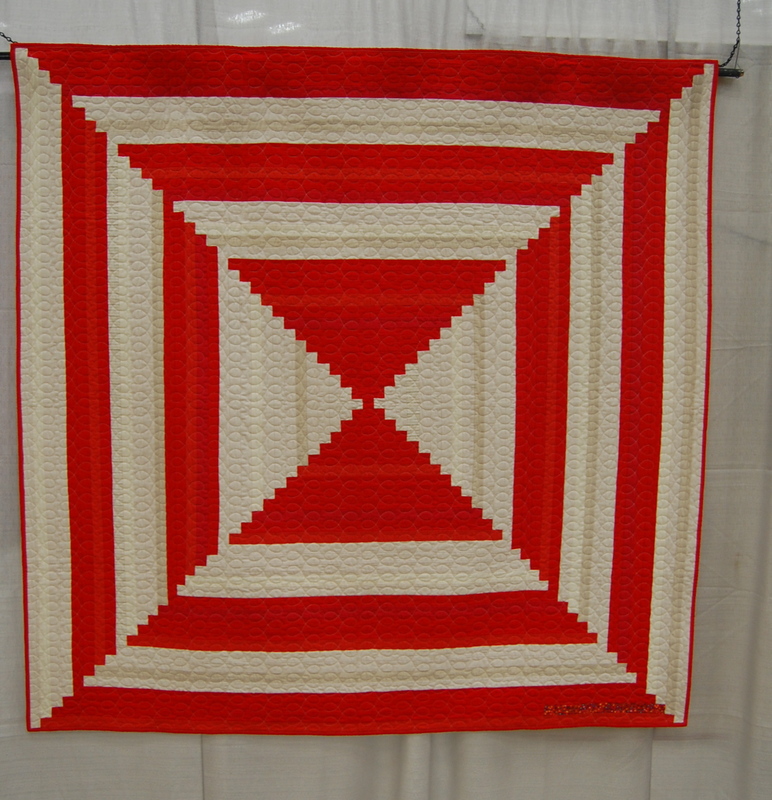 To Irelle and Virginia and all our members who worked so hard on this (as well as volunteered a ton of time at Quilt Con)…. 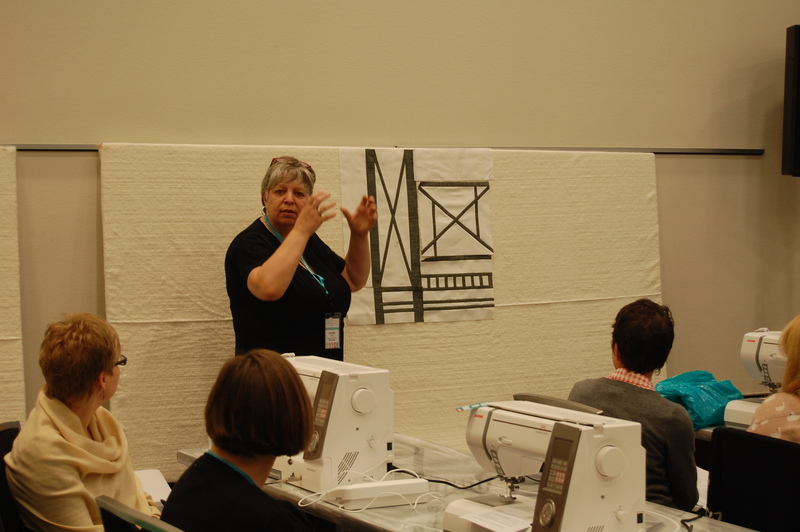 thank you for representing our little Santa Barbara Modern Quilt Guild!!! It was such fun to be in a creative environment with creatively like minded people who love modern quilts and fabric as much as I do, for a few days. Sadly, I couldn’t extend my trip long enough to see Denyse Schmidt’s keynote speech. Lastly, a final highlight of my trip was the time (brief as it was) I got to spend with the gals from our Santa Barbara MQG, those hardworking QC volunteers, Irelle and Virgina, who I completely neglected to get a photos with. I guess we were having so much fun we forgot… love that Iron Cactus!!! Love them all, your pics make me wish I’d been there!